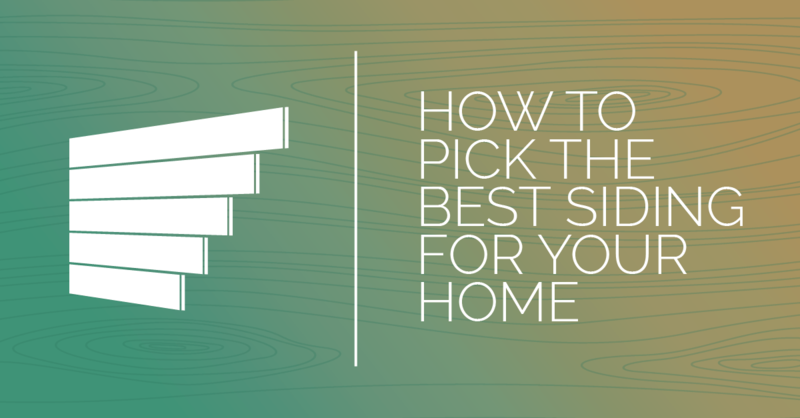 Attempting to balance between durable, energy-efficient siding options, and a color that complements the rest of your home’s exterior can leave you unsure of what is really best for your home. Talking things over with your contractor and taking all surrounding factors into consideration when choosing something as important to your home’s functionality and aesthetic appeal will prove to be beneficial in the long run. Siding manufacturers are always looking to improve their products, and are coming out with original and experimental functions for their newer products. Each type of siding that we offer has different benefits, and has its own pros and cons. Knowing what you want from your siding will help us suggest the perfect style for you. Make sure that your home’s exterior colors complement each other nicely, while also fitting into the color scheme of the neighborhood. Finding new and innovative color combos can increase the curb appeal, but if you stray too far from the path, your home can end up looking flashy and unappealing. Finding that perfect medium is what you are after. Talk through your color options with your contractor before making the final decision. You want strong, durable siding that will stand up storm after storm without taking a chunk out of its life time. What kind of weather does your region often exhibit? What have you done in the past to protect your home from extreme weather? What other products do you own that help increase the longevity of your home when faced with the possibility of storms? These are questions you should ask yourself when choosing the perfect siding for your home, and your area. We will take your budget into strong consideration when we help you pick out your home’s siding. We will help you choose the best product possible with the money you are willing to spend. We want you to get the biggest bang for your buck and will explain in detail what each of our siding options can do for your home. Call Straight Line Construction, based out of Sacramento, to help you choose your home’s new siding. When you work with a trusted, hometown contractor who knows your city, is active in the community, and is knowledgeable about the area weather, you will get the best service and products because it’s almost like working with a neighbor!